Pear-shaped carabiner. Double-action automatic gate closure. 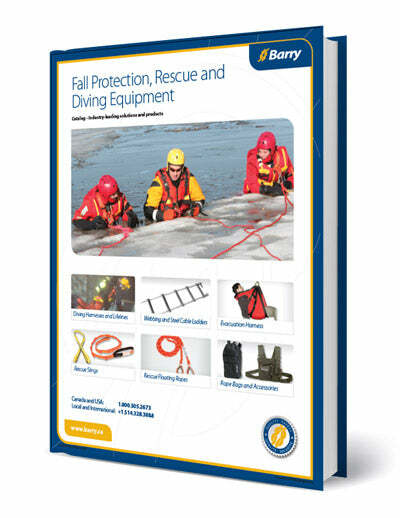 Download our Catalog of Fall Protection, Rescue and Diving Equipment. Note: Barry sells to companies, professionals, and governments only (Minimum quantities may apply to some products, $500 minimum purchase, sales by phone or on our website only). Note: This information is for reference only and is subject to change without prior notice. Note: Any Barry document received by email, downloaded or printed is uncontrolled. We take people’s lives to heart. Copyright © 2019 Barry USA Inc.